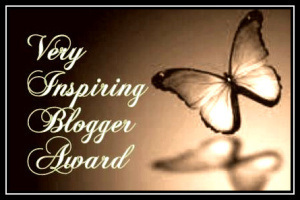 Thank you to Gator Woman @ Very Inspiring Blogger Award (walkingwiththealligators.wordpress.com) for her generous nomination. She has just won this prestigious award herself, for her continued efforts on behalf of the wild kingdom. Inspiring indeed and a kindred spirit in the path that leads us to the speak for peace and preservation. I am honoured that you have chosen to nominate me and that you continue to read my words. My blog is about my passions. History, art, conservation, gardens, beauty and us, the human. Our role and how we live it. How joyous we are for the life that inspires us and the privilege to be the almighty human. That wondrous mankind. The beauty of the Earth and the great good Earth, our home and our salvation. Lucky are we to be the privileged inhabitants of this planet. Thank you to Gator Woman for her constant comments, for her encouragement and her praise. I live in a UNESCO World Heritage Site, Jasper National Park, Alberta, Canada. The splendor of the view, the immaculate environment, the daily wildlife sightings, the privilege to have the honour of residency. I work for the department of the environment, Parks Canada. I have many passions but one of my favourites is to revitalize the past and to bring the lives of our ancestors forward as living, breathing, brilliant mankind. Hiking the trails takes me on a path of sound, sight, smell and quiet. The constant calm, the great peace. The peace of 500 year old man who settled with trade, pride and compassion. The land of plenty. The peace of 1000 year old man, who touched the soil and sailed away. The peace of prehistory man who claimed the continent from north to south and thrived. I love art. It’s creative ingenuity and random precision are a curious combination. The Earth for all that it gives us. So much joy, so much wonder, it never ends. The human, destinies unfold, brilliant mankind for all of the wonders of your mind. Here are my favourites. They reach out to that part of me that yearns for completion. (more aptitude and knowledge than I have) Save us , almighty Earth. This entry was posted in conservation, culture, environment, nature, the Earth, very inspiring blogger award and tagged Alberta, Blog, Canada, conservation, culture, Earth, environment, Jasper National Park, national parks, National Preservation, Parks Canada, the Earth, United States, Urban area, very inspiring blogger award, WordPress. Bookmark the permalink. Very beautifully written, of course, what else could be expected from you? Congratulations, and thanks so very much for the nomination! You and I, we are most definitely kindred spirits…. 🙂 I think I would rather be in your region now, however — my hikes have severely decreased with the onset of our Everglades summer!